Pens like the William Henry BA1 Bolt Belize writing pen can set you apart. Not only does the Belize write beautifully, but it shows your attention to detail and quality. The bolt action mechanism takes a page from the bolt action rifle, so it locks open and spring releases closed with a simple move of your thumb. This William Henry bolt action pen is the perfect size for every day pocket carry. At 4 3/4 inches, its compact size is perfect for ease of use and carry. The contours and curves of the pen fit with precision in your hand. 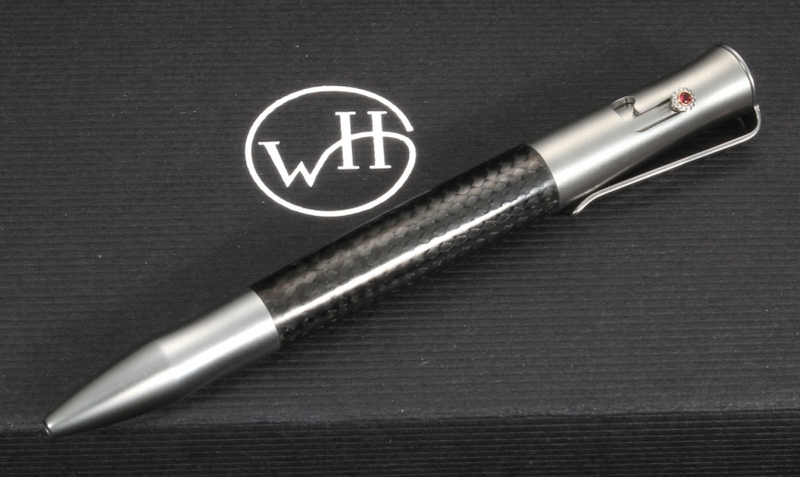 The craftsmanship from William Henry is really what makes this pen worth the investment. The barrel is constructed from carbon fiber that is used in aerospace, military applications and sporting equipment -- -- carbon fiber gets its characteristic strength from a weave pattern of interlaid fibers that form tight crystal bonds parallel and perpendicular to each other. You can carry this pen anywhere and know that it will hold up but not weigh you down. The Belize's frame, fittings and pocket clip are constructed from stainless steel so the pen will hold up well and never corrode. Stainless Torx screws hold the assembly together. 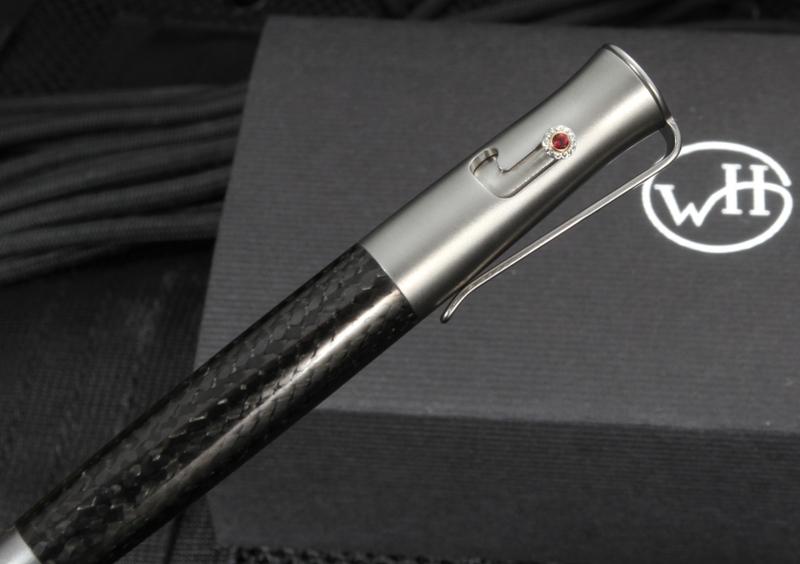 The thumbstud on the bolt action mechanism and the top of the pen are inlaid with red topaz stones that give an extra feel of quality. The William Henry BA1 Bolt Belize writing pen takes any Parker-style refill, so you can choose the color of ink you prefer. Each pen measures 4.75 inches -- an ideal length to hold or carry in a pocket. The lightweight construction keeps the pen to just 1.1 ounces. 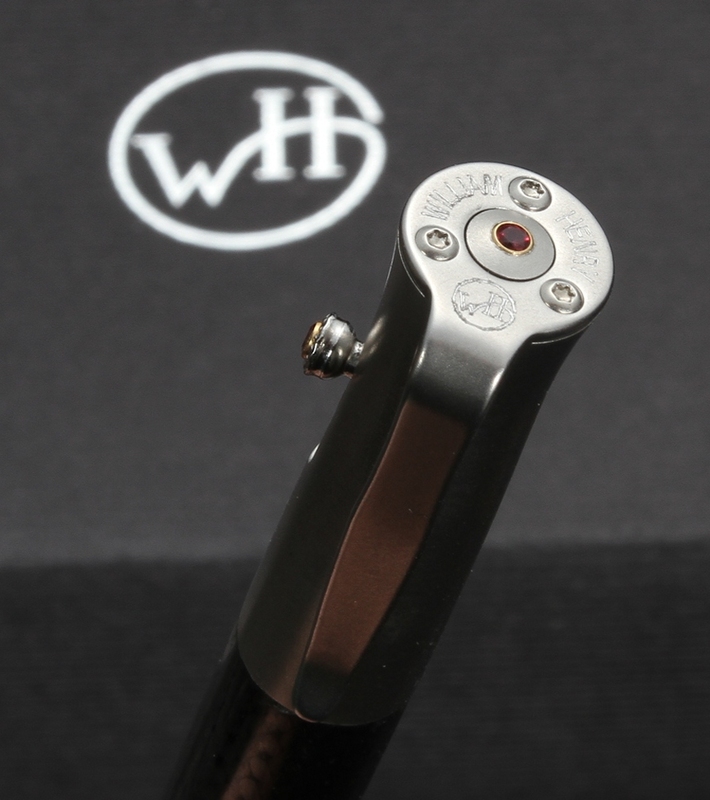 Make an investment in your writing instrument with the clean lines and beautiful craftsmanship of the Belize pen from William Henry. 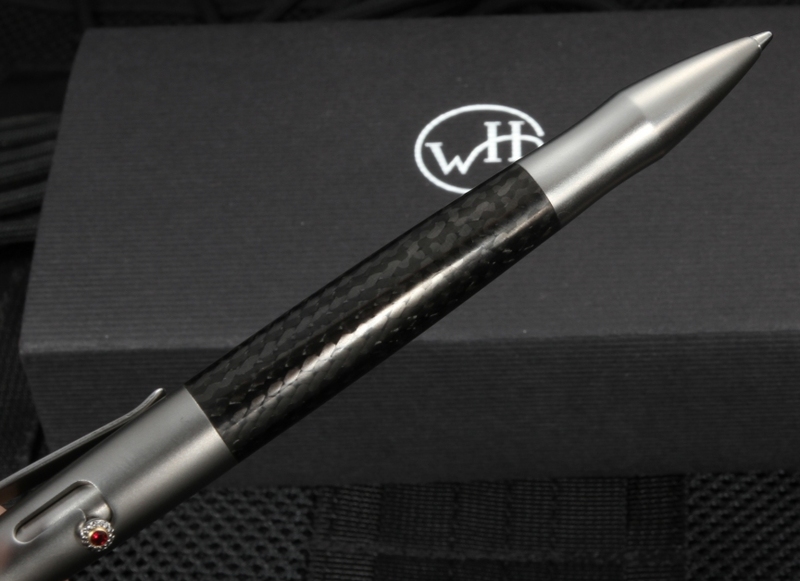 When you order this carbon fiber bolt action pen from KnifeArt, you know you'll get exactly what you ordered; we guarantee the products we sell because we carefully hand select each model. Get free shipping in the U.S. so you can have this pen in your hand -- or pocket -- normally within 2-3 business days. High quality William Henry ballpoint pen. Compact size, with an unusual, fun "bolt" system to extend/retract the ballpoint. Perfect fit and finish. Amazing carbon fiber, not the cheap or imitation versions out there in some lesser products from other manufacturers. Love it!